Speed Up Weight Loss with Fruits and Vegetables! While some of us find our waistlines expanding with each year, there are others who stay slim & slender throughout their lives! Are these ‘born-slim’ folks genetically gifted, or whether they were in possession of a magic secret resembling the fountain of youth?? The study found that getting a large part of nutrition from fruits and vegetables played a big part in keeping these people trim and youthful. Fruits and vegetables are low in calories, high in volume, and high in critically important nutrients. They provide the feeling of satiety that goes with fullness. When the stomach is filled with high volume foods that are not high in calories, there is less room to pack in more calorie dense foods. Eating fruits and vegetables can turn off cravings for other types of foods and short circuit the food addiction cycle, helping to provide a boost to weight loss efforts.Nature has built into each of us the desire to eat because eating provides the body with the nutrition to function and maintain itself. If people choose to eat foods that do not contain the nutrients needed, the body will continue to send the signal that more eating is needed. Fruits and vegetables are nutrition powerhouses containing the vitamins, minerals, enzymes, fiber, antioxidants and protein needed for good health and avoidance of disease. When they are eaten, the body is satisfied and the signal to continue eating is extinguished. Various studies have shown that reducing the energy density of the diet by the addition of fruits and vegetables was associated with substantial weight loss. Since people tend to eat a consistent weight of food, when the energy density of the food is reduced, energy intake is also reduced. Substituting beans and lentils for meat is a great way to lower the energy density of a meal. The calories are about the same, but beans and lentils are high in fiber. Beans and lentils are more filling than meat because a quarter pound of beans has a greater volume than a quarter pound of meat. 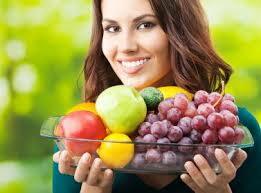 To get real impact on weight and health, intake of fruits and vegetables must be drastically increased. People increasing their fruit and vegetable intake while lowering the intake of foods deficient in nutrients will begin to see a difference in their weight and their energy levels. The extra energy you have may even increase your interest in exercise. 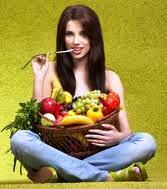 Replacing many meat and dairy products with fruits and vegetables will help you quickly lose any unwanted pounds. How to Lose Belly Fat- Tips for a Flat Tummy! Best Weight Loss Tips Ever! Dear Friends, We invite you all with information, suggestions, latest news related to Herbs and Health to share it with us. You may mail your posts for ‘The Slimming Furnace’ for consideration at garimasancheti@gmail.com. You can also attach relevant photos related to the post and a few lines about You, The Guest Blogger’. The writings shall be reviewed and if there are (if any) substantive changes, it shall be mailed back to you for consent, before posting on the page. Thank you! Wish you a Healthy and Happy Living! No information on theslimmingfurnace.blogspot.in is intended to diagnose, cure or replace medical advice. This site is intended to be archival in nature. It is recommended that you seek advice from a trained medical professional before starting any new fitness or weight loss program.